Emma is renowned for creating iconic jaunty pottery designs over the past 30 years and she lifted the early winter gloom on November 11th when she detailed her remarkable career from the early days experimenting with spongeware in a Brixton flat to establishing one of the biggest pottery companies making products only in the UK - employing up to 300 people in Stoke- on-Trent in an operation with a multi-million pound turnover. However, she admitted that,she now realises how unready she was in the early days for the demands that lay ahead. One of the driving forces behind the designs is her husband, Matthew Rice, who she met at a trade fair in Kensington. and who spoke in Wootton in July 2013 about his book on church architecture, featuring his wonderful watercolours and drawings. Emma told us that lettering-print and typography have held a long fascination for Matthew - and his graphic expertise in creating the lettering patterns is a fundamental strength within the company, especially the Toast & Marmalade range which is first and foremost pottery, but also includes tea towels, tablecloths and shopping bags. At first, it was called Toast & Marmite (the food-spread is Emma's possible choice as a luxury on Desert Island Discs) but this was changed after suggestions it was helping promote another brand. Some of the more fun wording over the years has included "I Love You More Than Chocolate" and "Last Night I Had A Dream About Daniel Craig". Emma told us there is a constant demand for a stream of new surface designs and she suggested she would have failed the challenge dismally without Matthew's input. The search for inspiration has taken them around the world and, during one visit to the eye-popping displays at the souk in Damascus, she finally "got the hang" of pommegrannates, which she had never really liked - but here they had bright skins and jewel-like scarlet pips, bursting with juice, and they were quickly incorporated into the design range. Emma added that, all her life, she has been in thrall to romance and that, in her designs, she tries to conjure up that fragile magic which inspires dreams and breeds creativity - making an ordinary day suddenly wonderful. She works in tandem with Matthew to try and create that magic, often featuring his love of birds and sea life such as shrimps and crabs - as well as other animals, inlcudling hens, whippets and Labradors. Indeed, Emma suggested that a black lab will always be a constant source of comfort when some of life's travails kick in - like the ending of a relationship, burning the brownies or even dropping the mobile down the loo and losing all the contacts. 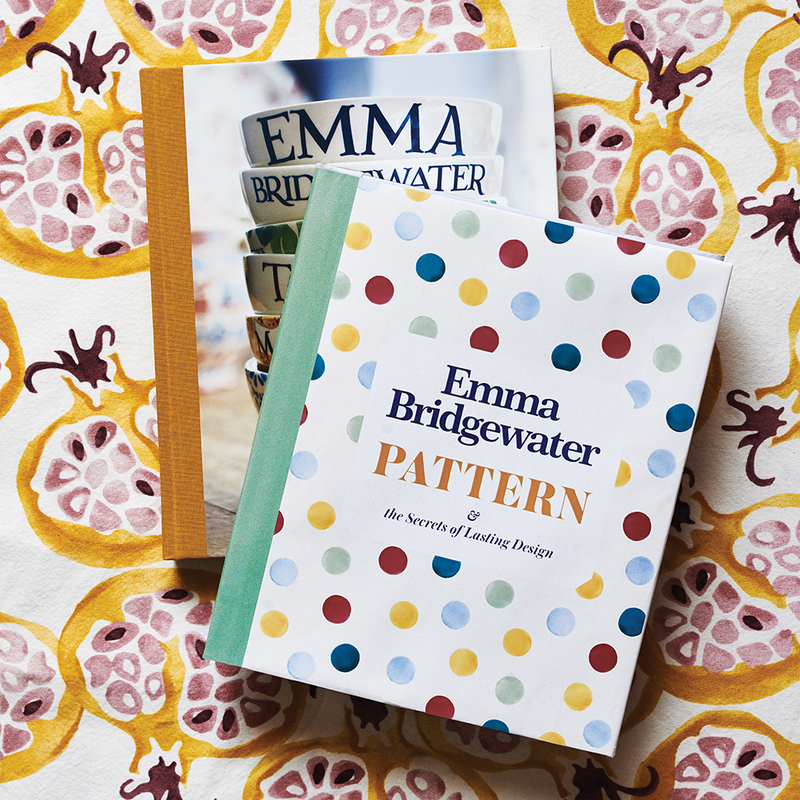 With all the designs, Emma told us there is a constant process that goes back and forth as they juggle dramatic effect with practical application - and that, as a company, they need to push themselves collectively to improve the skills and speeds of the company's decorators, producing dramatic new-looking patterns to catch the imagination of customers. One such bright and breezy design was called Marmalade and emerged from Emma's thoughts of life about 1970 when life was more free-wheeling and cheerier and less anxious - perhaps embodied in her Uncle Mart who once drove to Marrakesh in an ageing car. However, despite all the brightness, friendliness and gentle humour in Emma's designs, her life has seen some significant set-backs - not least the years caring for her mother, Charlotte, a huge influence in early years, who was seriously injured following a riding accident in Gloucestershire. In addition, there were long and lonely car journeys from Norfolk - to where the family had moved - to the factory in Stoke-on-Trent, whilst juggling the needs of four children. 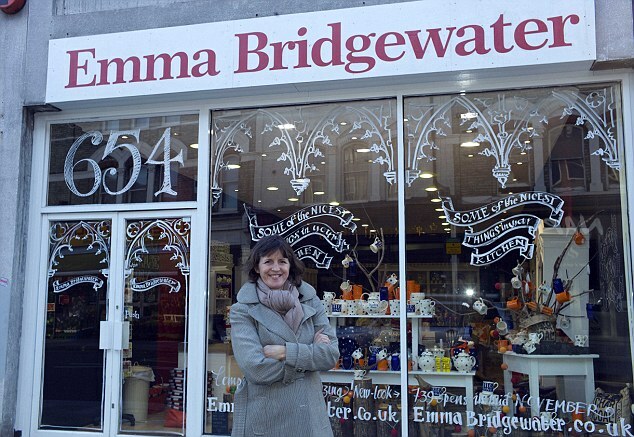 Ultimately, the pressure tools its toll and Emma suffered from stress and anxiety, as well as physical pain with rheumatoid-arthritis, and the decision was taken to hand over much of the company operations to Matthew. 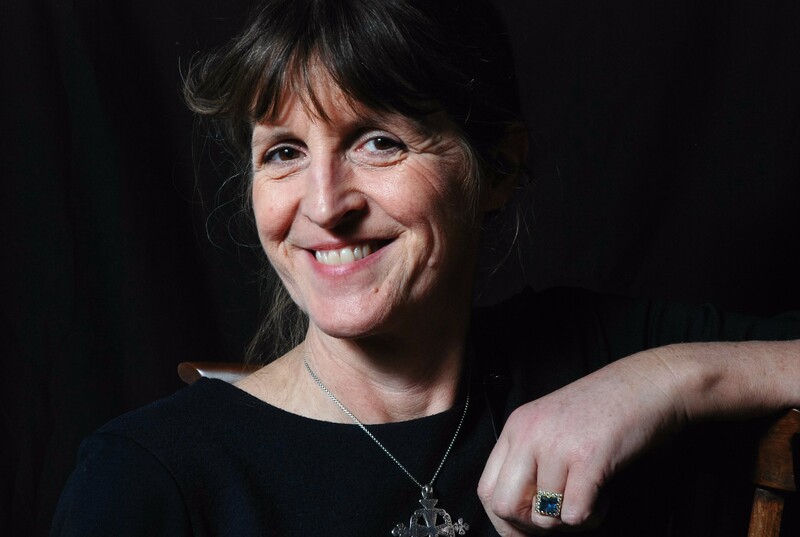 One of the recurring themes in Emma's designs are flowers and she suggested that often the best way to see them is from a car - and recalled how even when she was sitting on an motorway embankment following a tyre blow-out, she was able to admire the beauty of planted cowslips. Two of her favourite flowers are sweet-peas and zinnias and she highlighted the constant process of struggling to try and capture the beauty of flowers. She said it's always a challenge to how best convey the wavy delicacies of sweet-peas, as well as morning glory, and that all designing is a process of distillation and the constant pursuit of the perfect marriage of form and decoration - plucking themes, ideas and moods from all over to try and find the cleanest way to evolve a true signature. With her renowned modesty, Emma told us that there can be blank faces at parties when she's introduced as "the potter". She corrects them and says, in her words, that she's a "grubby industrialist" but, even then, the person is none the wiser - until she tells them she's behind the range of pottery with polka dots and then there is a flicker of recognition. 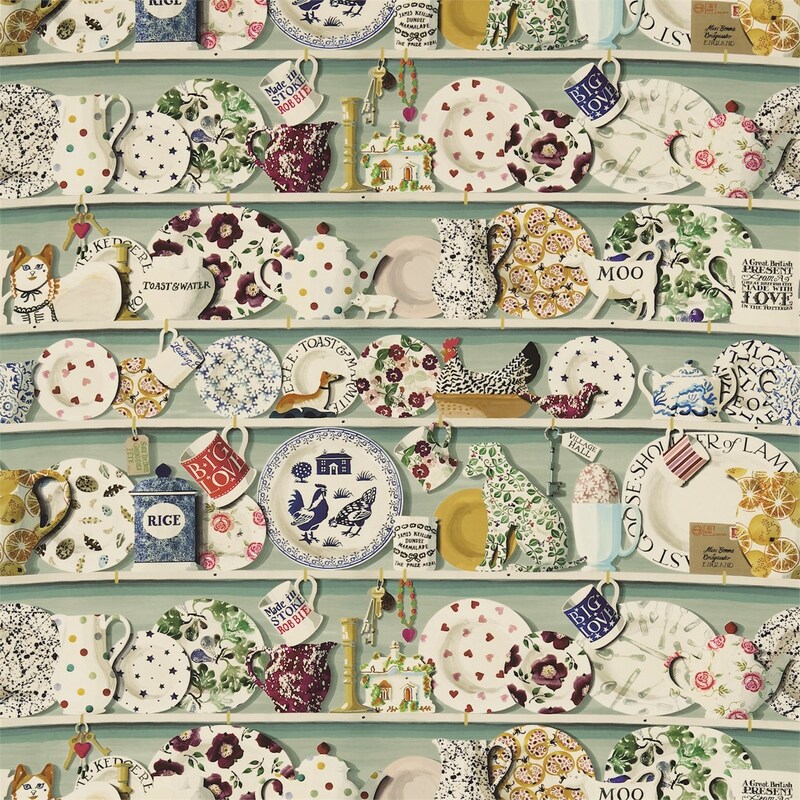 Since 2002, it's estimated that well over two million pieces of polka-dot pottery have been produced across almost every Emma Bridgewater shape. Following their time in Norfolk, Emma and her family moved to Jericho, in Oxford, but Matthew hankered after more space and has always had a life-long longing to develop a whole thought-out landscape (indeed, on their first date, Matthew took Emma to West Wittering, in Sussex, where she says he built sand-estates rather than sand-castles on the beach). This need prompted a move to the Oxfordshire village of Bampton, where they bought a run-down property from one of the colleges and set about renovating the buildings and the grounds, including gardens which were Matthew's creation and which are sometimes open to the public in summer. 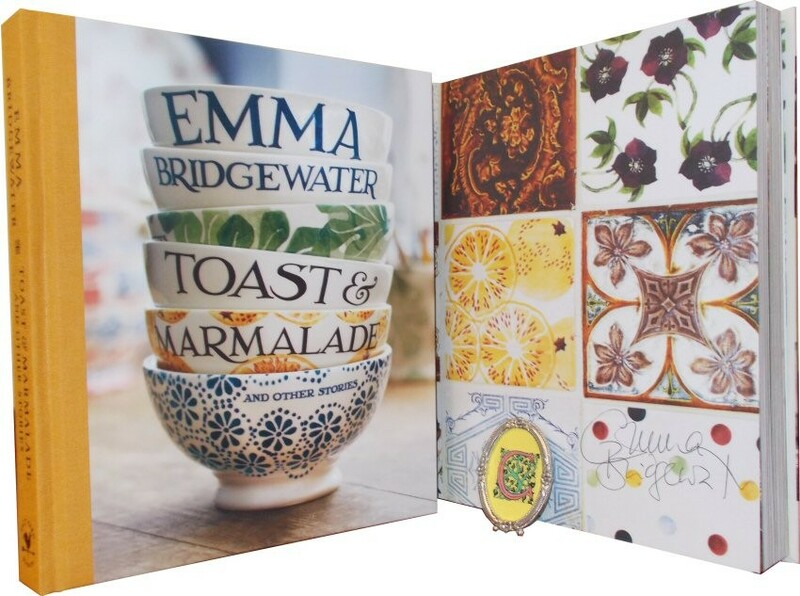 Following her talk to an audience of over 120, Emma signed copies of her books, Pattern - featuring some delightful photographs of both pottery designs, animals and food - as well as the paperback Toast & Marmalade which chronicles her extraordinary life. People had travelled from far way for the evening - and Emma used a dedicated pen to sign some of the pottery audience-members had brought along.